Especially for homeschool moms who want to help their kids memorize quickly and easily! Free mini-training: discover the ancient method of memorizing quickly so your kids can learn more with less effort! 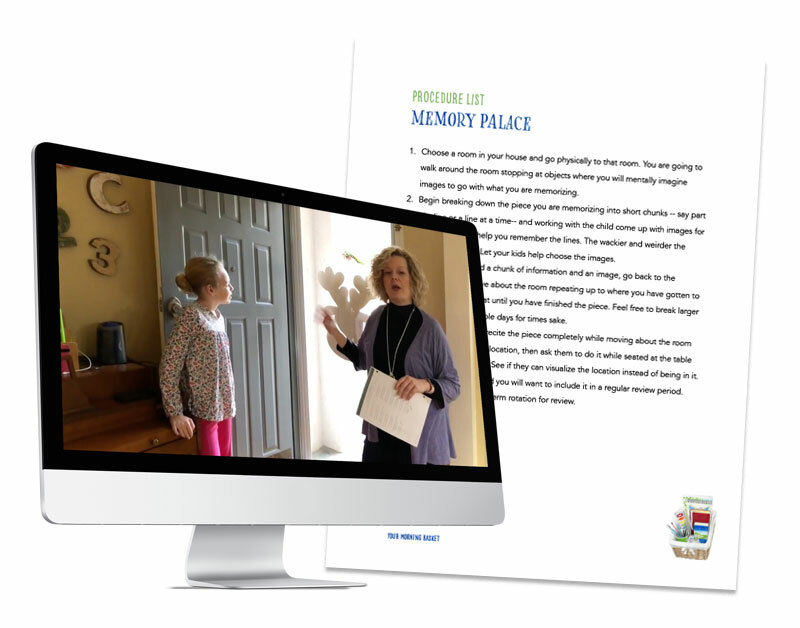 Learn what the Memory Palace is and how it has been helping scholars memorize for centuries. See the technique in action as Olivia and I demonstrate how we do it in our own home. Download the handy step-by-step procedure guide to keep in your homeschool binder.